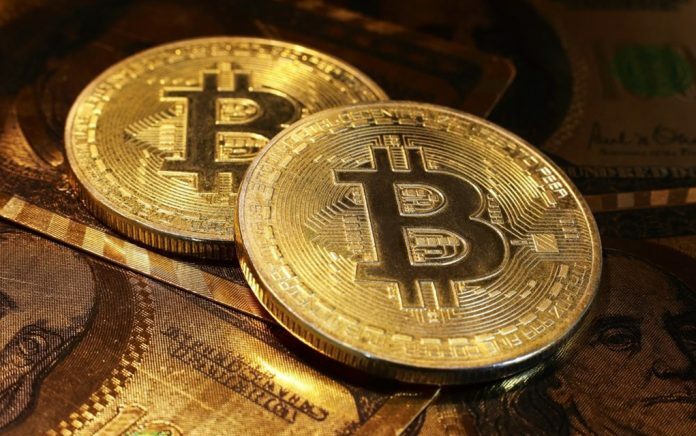 According to the Securities and Exchange Commission, the federal government wants to sell $50 million worth of bitcoin at market value at an auction through a marshal's service. Just last month, the chairman of the U.S. Securities and Exchange Commission was preaching caution on investing in cryptocurrencies. This month, another branch of the federal government wants to sell $50 million worth of it. At least, that?s about what it?s worth at this point. The U.S. Marshals Service announced Thursday that it planned to auction off 3,813 bitcoins on Jan. 22, each of which were valued at just under $14,000 apiece Thursday afternoon. In the course of the day, its price fluctuated by about $1,500, which is characteristic for cryptocurrencies like bitcoin that aren?t regulated or backed by the U.S. government and exist only digitally. It?s the sixth such auction for the Marshals Service, which obtained its bitcoins through various criminal, civil and administrative forfeitures. The last auction occurred in August 2016, when bitcoins were valued at just $585 each. Given increased interest, Securities and Exchange Commission Chairman Jay Clayton on Dec. 11 issued an unusual and lengthy statement on cryptocurrencies. ?The world?s social media platforms and financial markets are abuzz about cryptocurrencies and ?initial coin offerings.? There are tales of fortunes made and dreamed to be made,? he warned. ?We are hearing the familiar refrain, ?this time is different.? ? For average consumers, his advice was buyer beware. ?Your invested funds may quickly travel overseas without your knowledge,? he said. ?As a result, risks can be amplified, including the risk that market regulators, such as the SEC, may not be able to effectively pursue bad actors or recover funds.? Caleb Watney, a technology policy associate at the libertarian think tank R Street Institute, said it might seem ?a little hypocritical? on the government?s part to warn people against buying the cryptocurrency while auctioning them off, but ?it doesn?t make sense for law enforcement to just sit on this,? he noted. But why auction off the bitcoins rather than trade them in for their current value? Spokeswoman for the U.S. Marshal Service Lynzey Donahue said Thursday that the auctions are conducted on court orders in individual cases, but declined to provide additional information on the methodology. The cases leading to the auction just announced involve charges of distributing controlled substances and dealing in large-scale dark web marketplaces such as Silk Road, among others. The shutdown of Silk Roadby the FBI in October 2013 resulted in the first bitcoin auction by the Marshals Service in June 2014, as well as several subsequent auctions ? an offloading of more than 100,000 bitcoins overall. Steven L. Kessler, a prominent asset forfeiture attorney in New York, said the bitcoin auctions seem similar to the auctions of any other property in forfeiture cases ? and in those cases, he said, the auction can become another way of making things tough for the guilty party. ?Let?s say I?m a defendant with a $1 million money judgment, and I have a Lamborghini. It?s worth about $500,000, they sell it for $50,000, and that goes toward what I have to pay for my money judgment,? Kessler said. ?The government has no incentive to get a good value in this auction, because they get $1 million either way. They don?t care.? Property in those auctions always goes for way lower than market value, Kessler said, and he could see bitcoins in these auctions going for less than market value (Donahue said the Marshals Service does not provide selling prices from previous auctions). But before anyone whips out their wallets, there are a few details of the auction that will likely be barriers to average citizens. For one thing, the bitcoins are sold in blocks. In this case, there are five blocks of 500 bitcoins, five blocks of 100 bitcoins and one block of 813 bitcoins. In order to bid on the large quantities, participants must register with the Marshals Service by Jan. 19 and submit a $200,000 deposit to be credited toward the purchase. Bids have to be all-cash offers submitted through wire transfers. Bids can only be submitted once, and bidders do not get to see any other offers. And the auctions aren?t limited to U.S. citizens?foreigners can participate too. Past interest in bitcoin auctions has been relatively low, according to figures provided by the Marshals Service. The first auction in June 2014 had the most, with 45 registered bidders and 63 bids received, but the August 2016 event yielded a paltry five registered bidders with only four bids. Stephen J. Obie, an attorney for Jones Day who advises multinational corporations and individuals on U.S. securities and commodities law compliance, is less optimistic than Kessler that bidders could get bitcoin for a steal at these auctions. If the selling price is lower than that day?s market value, he said, it likely won?t be signficantly so. ?If you buy a hot rod, there?s a whole slew of costs that go along with that,? Obie said. ?With cryptocurrency, there?s liquidity and easy transferability afterward.? Regardless, don?t expect the auction to have a large effect on the bitcoin market generally, both Obie and Watney agreed. While there is a finite amount of bitcoin, 3,813 isn?t a huge chunk of the current 16.8 million in circulation.